I find life events a natural source of inspiration for illustration projects. I’ve covered quite a few birthdays, anniversaries, weddings, and births with drawings, and as one of my close friend just had a baby boy I couldn’t resist but to do it again. The “brief” was very brief as the only information I had about the main subject was his name – Milo – and, yes he’s a cute baby boy! But no pictures as I was about to meet and see him for the first time only a week before I started, and prior to this, well, he wasn’t born yet. However as I’m talking of a very close friend, I had a good idea of the lovely vibes he was born with, and nature, travel, and exploration were safe concepts to play with. So I got sketching. My previous, birth related illustrations (Olivia & Mathis) were set around a gentle setting with cute animals spelling the new born’s name. So I started from that same idea but as the deadline was getting a bit tight I optimised this concept by giving one little cute character the responsibility to spell all the letters at once. 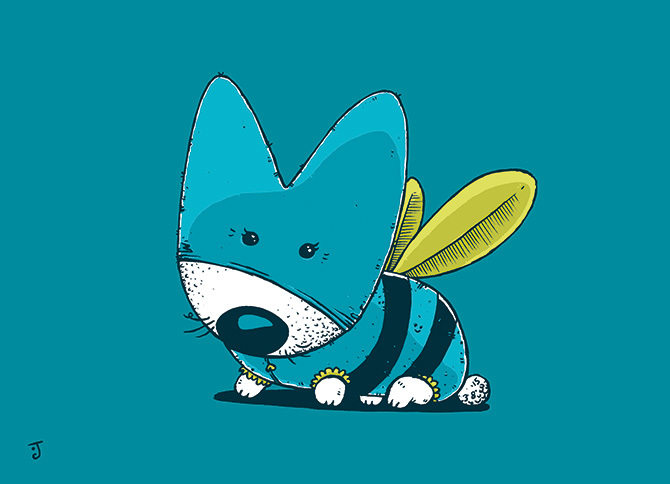 Here is the resulting buddy, fluffy as a puppy, curious as a bee, and sweet as a pea. 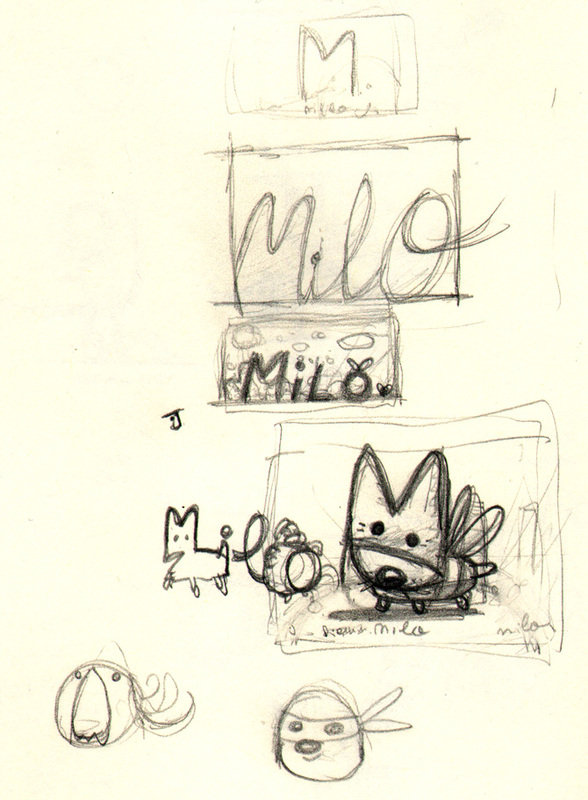 Give me an M, I, L, and O, hello Milo!